I was inspired to make these color coded chore sticks by my childhood babysitter. With my mom being single and working full time we spent a lot of time over at the babysitter's house in the summer time. Every morning she would ask her kids to pull some sticks from a jar and they were required to finish their chores before going out to play. She never required me to pull sticks, but for some reason I always thought it was fun and mysterious to see what I would get. I think these sticks could make chore-time fun and into some sort of game. And when it comes to chores anything helps. As a child I thought I was so CLEVER and CUTE. Especially when it came to chore time I always weaseled my way out of the details. When asked to clean my bathroom, I would go in with ONE paper towel and proceed to wipe it down half heartedly (hey she said clean it, but she didn't give the details on how much and what exactly she wanted clean). So... in an effort for my kids to NOT pull the same CLEVER and CUTE crap, I've decided to break the household chores down into the absolute nitty gritty. As parents I think we can all agree it's our duty to teach our children, so many of these printables give us the opportunity to do just that. Neither of my kids are to the chore stage, but I will definitely be using these when the time comes. Supplies needed: tongue depressors/ fat craft sticks, Mod Podge, sponge brush, scissors, spray paint (optional) and a paper cutter. This step is optional, but I like the look of darker woods so I spray painted my sticks on both sides. Let the paint dry thoroughly before flipping, otherwise you will be peeling newspaper off of your sticks and that my friends is NO fun! 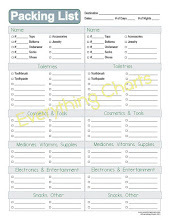 Next, download and print my FREE PRINTABLES HERE. There are a lot of chores included in this printable, but feel free to use the ones that fit your family's lifestyle best. I've also included blank colors for those of you that have additional chores to the ones I've provided. You can write the chores in on the blank colors or you can use the blank colors on the back sides of the sticks so that the colors are visible on both sides (that's what I did). Now, here comes the tedious part. Find yourself a good movie and popcorn and start cutting. I first used my cutter to separate them and then with my scissors and steady hand I went around each corner. After all of the cutting is done, adhere the paper sticks onto the wooden sticks with Mod Podge and your sponge brush. Let them dry and cover with a good coat of Mod Podge all over. Another optional step is to use a heavy duty nail file and go around the edges so the paper and wood line up evenly. This step would need to be done before you put the final Mod Podge coat on. I started this step and quickly realized it would take me a LONG time to finish...so I stopped. Here are just a few examples of the chores I've included and what they look like. If you need help with this please email me. dianna@whateverdeedeewants.com. What creative ways do you enforce chores? These are too cute! Thanks for sharing. I just downloaded mine. I love them! Thank you! I love these! Thank so for all the time and work you put into making these. Hi! These are lovely! I saved them for when my little one is big enough for chores! What's the name of that curly font you used on the sticks? I've been looking for it forever! I love this idea - thanks so much for sharing! Adorable and so helpful! Er, I did notice a typo on the "LANDRY" tag. Thanks for the printables! 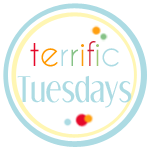 Carol Colon-- the swirly font is "Albemarle Swash"
Ditto Carol~that curly font is the cutest!! Mind sharing what it it??? Thank you so much for these! They are awesome!! These.are.awesome! My son is only 16 months old, but I will definitely be making a set of these for when he's older. Thank you!! I actually do something similar with my kids, but I used plain old popsicle sticks with jobs written on them with pen (I'm not the creative/cute stuff type of mom), with "fun" jobs intertwined such as make a treat and sing a song. You never know what you're going to get, so it's fun for the kids to do it. I started this at the beginning of summer and it works like a charm every time. I have some specific and some general chores, and before we begin pulling sticks, I go through them and weed out the ones that we don't need to do that day. The key for my kids (ages 5 and 7) is to have the fun chores to add an element of surprise! I did something similar to this when my oldest started violin lessons- I wrote what she was supposed to practice on a stick and she pulled it. That made practicing violin a lot more fun for her. Now that she's a little more advanced, she no longer does this, but it was great for when she was just beginning. I am trying to print my labels and it will not print. Any ideas on what I am doing wrong? I have a MAC. Does that matter? They are so cute! I really need them! wonderful! we are your newest followers! I love this!!! Thanks for sharing!!! What a FABULOUS idea!! I'm going to FB/Tweet this, and I might just have to make a chore jar for my daughter in a couple years. If you have time I'd LOVE it if you'd link this up to my party, it goes until tomorrow night. My kids are too old for chores, but I am thinking of a little twist and creating "dates" for me & my hubby. Maybe I'm an anomaly, but if I print them at 100%, it cuts off, but if I resize it, they're the wrong size. I love this idea and it totally meshes with the way I clean (which is slightly by the seat of my pants.) But, I am not sure what I'm doing wrong, but I'm having a really difficult time printing these off. Is there any way you could email me the file? These are so great, thank you for sharing them. But, like Jill Ann, I'm running a Mac and the ones on the very top and bottom and sides are cut off. Bummer! Any ideas? LOVE LOVE LOVE THEM!! I tried to download it too, but it is making me pay scribed to get it. As long as I am logged into scribd I can download them for free. If that doesn't work let me know. I logged into scribd and it wants me to pay. Are we still able to print for free? Love your blog and love, love, love these...only problem is Scribd said I have to be logged on to download, so I logged on with Facebook, and I STILL couldn't download them! Is there some alternate way of receiving the printables, either email or PDF? I'm keen to make this project! I just tried to download the chore sticks again. I got a message that said something about paying or upload something to give back to the community. Once I uploaded something (a picture) it let me download the chore sticks for free. It's not letting me print, without paying...can you email me this please? vnhlillvik@sbcglobal.net I'm so excited to get to start using these. I'm not able to download free either. Is there a secret? I'm logged into Scribd too. Could you email to jmca110@gmail.com? I would appreciate it! Thanks! Thank you for a great way of handling chores!!! I'm a single mother of five great kids. I LOVE You! Six kids and hours of work already done. Thanks so much! Am I the only one that it asks for $9 to download and print? I love this idea. Keep up the great work!! Tip; When kids are old enough to get toys out they are old enough to help with simple chores. Putting toys back b4 going to bed is a good one to start with. You mentioned your boys were too young for chores. A common problem mqny parents make is waiting too long to get kids used to helping qround the house. Just trying to be helpful. Not critical. I am trying to download and print these chore tags and the website won't let me until I upload my own document or pay for a subscription. How can I print these? Thanks and keep up the amazing work! Just finished this. Took about a total of 8 hours from start to finish. I think I would use a numbering system and colored popsicle sticks if I were to do it again. BUT - my kids LOVE it! When they are begging me to let them choose a chore, you know you have succeeded with executing a great idea! I paid the $5 to download the printable and it was worth $5 to me. We have also made this into a game with a point system. 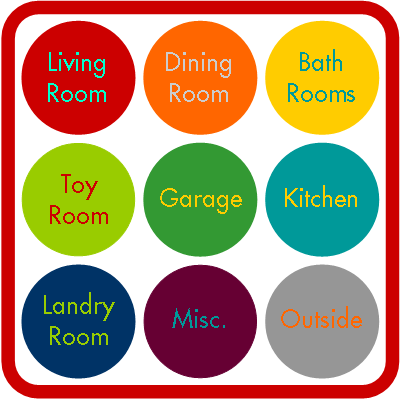 This allows them to DO more chores and earn points with a winner at the end. SUPER FUN!! Thank you SO much for sharing this idea. I am a happy pinner with this one. Could you please email me a copy of all of the labels? I am having a difficult time printing them off and I would love to have a copy to save to my computer. Thank you!!! you had me at, "cute crap". My kids do that to me all the time. Thanks for a great idea, a little peace in my home, and a fabulous blog. Love these! I would love a copy, but it is also telling me I have to subscribe to download. Could you email the file to me also? ladybug143@gmail.com Thanks! I got it for free by simply creating a word file of one of my recipes and uploading it. It was really quick and easy to do, just took a few minutes to type it up and save the file. These are fabulous, but I can't get them for "free" either, am I missing something? I checked your blog too and it was the same there. I have the sticks and mod podge ready to go! Thanks so much. I ended up uploading some subway art I'd made for my daughters. LOVE the idea and the execution. HATE the site you have to download it from. Can you post them on another site for download? Thanks for these. I can't wait to get them set up and started. I am having trouble getting these to download.. could you email me the file? Just and idea...I hot glue 2 cans/containers together for chores that only need to be done once a week. The sticks start out in one can and get moved to the other once they've already been drawn for the week. Make sure to label each can so you'll know later in the week which chores have already been done and which can to pull from. Found this post from Pinterest, thanks for the freebie!! Thank you sooo much for sharing! THE best! Thank You so very much for sharing!! This is such a cute idea! I will definitely implement this with my kids and hope it makes them want to do there chores! I have a small home, any way to remove the black text on these to simplify it? These are such a great idea! My kids are finally old enough to start completing some of the bigger chores and this will be perfect for summer. Thanks for sharing! You are so kind to share this with us. Thank you very much! Hi! Im doing your project right now and im running in to a problem with bubbling on the edges of the paper. Ive got the yellow mod podge, didnt realize there was many. Did i get the wrong one? Some are bubbling, some arent. Any tips? Thanks for the great Idea! 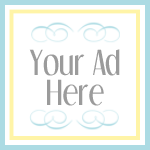 Heather.murphy09@yahoo.com for any tips or corrections. Thanks. I Love the Uh-Oh and Free-bee sticks! What a great Idea! I've already commented, but I also thought that a great additional category would be a gold can filled with Community Service opportunities. I think I'll be making Your's and a community service jar. Is there or will there be an editable version of the file? I would love to edit the chores and then print rather than handwriting. Lovely job--thank you! Thank you so much for this! It is great! I am making these now, and I am having similar problems to others. The sizing isn't right - 100% cuts off a few sticks on the sheets, and if I make it fit the page (~94%) the strips are about 1 cm. too short. Also as Anonymous from August 2012 said - they are bubbling with the mod podge. I am instead using tacky glue for a first gluing and going over with the mod podge. It is helping, but taking twice as long to glue each and every stick. Any thoughts on why the mod podge isn't working??? These are awesome sheets, and I am going to love having them, I am just not crafty enough to know how to work out the kinks! Hi Kirsten! love this idea. Thank you very much for sharing. I teach and would love to have something similar in my classroom. The chores are different- clean book shelf, wipe all window sills, clean blackboard etc. can you help me with blank templates? I am not that good on the computer, but am learning all the time! thanks again. Printing for my family NOW! Love this idea and the colors make it fun! Thank you! I would love a blank set of these printable,to use for a summer fun jar or I'm bored jar ect...any chance you have them blank or with an edit option to print on? Would it be easier (and would it even work)to glue the paper to the sticks and use a sand paper block to sand the extra paper away? Just a thought. This is a fabulous idea!! Adorable! You have a new fan by way of our home. Thanks for sharing! Thank you so much for these !! I just spent the last hour cutting them out ... can't wait to go buy some more Mod podge and get my kids GOING with this awesome chore concept! Oh MY! Love this! Pinned it. This is awesome! Have you considered creating a black and white printable copy of this set to save on ink cost? If so, please contact me at tlm swt 2000 (at) msn (dot) com - I would LOVE a copy! I was thinking they could be printed and Mod Podged on plain or colored Popsicle sticks. Sharpie markers could be used to color code the system. Of course that means the Color Code Jar printable would need to be adjusted a bit to include blank circles so that others could indicate the colors they had on hand. 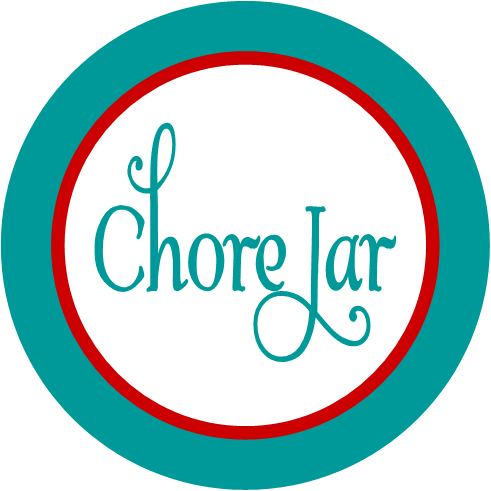 What an awesome idea and it would be great for a boredom jar as well. Thank you for sharing and for being willing to share it with us FREE. Great work! How Great!! love these!! is there any way i can save this and type in my additional chores instead of hand writing them!! thanks...this will be so helpful, especially for summer! This is great idea! I like the colorfulness of it ,but how many sticks are taken by each child, how often do they do these chores, and do you trade them in each week? I've never done a chore chart with my children ,but I think they are getting old enough to starting helping their mom and dad out around the house. Thanks for all your time and comments/suggestions. I was very attracted to your chore sticks. I have quite a few colors of acrylic paint. So I am going to use sponge brushes & paint my sticks (on both sides in honor of you). Then I am going to print the jobs on clear labels... I've really done enough cutting for one lifetime. Then I will Mod Podge them. I love the font you used an the main idea of the job. I suppose you have been asked this a lot...what font did you use? 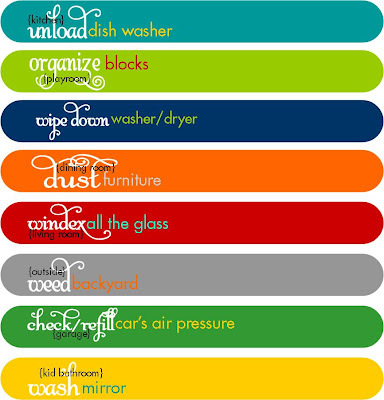 Very cute chore chart. Is there anyway you could create this in black and white? Then I could print each page out on a colored paper rather than using all of the color ink from my printer. Love this! Thank you so much form sharing!! !